Royal Borough of Windsor and Maidenhead: Pure Town Planning are delighted to have assisted in achieving a hard fought approval for a fantastic contemporary dwelling in the prestigious Fisheries Estate beside the Thames near Maidenhead. Pure Town Planning were brought in to advise on the project by AR Design Studio of Winchester due to the complexity of the planning issues involved. 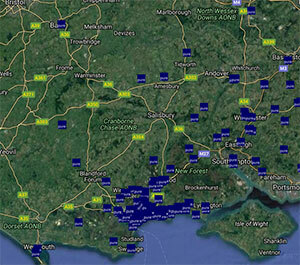 Being in a high flood risk area alongside the Thames meant very complex flood risk issues. There had to be negotiation on the compensation for the previous felling of protected trees. The adjacent plot, which lay inside a conservation area, housed a modest old bungalow in a rather awkward alignment. However there was a live planning consent to demolish this and build a much larger detached house. Due to the uncertainty as to whether this scheme would go ahead, the design by AR Design Studio had to work alongside both the existing and proposed dwellings. 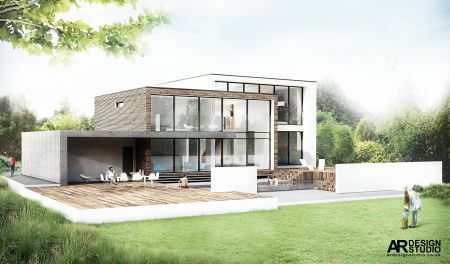 There was also a question as to whether a very contemporary flat roof property would fit into the area which whilst of mixed character, generally had fairly traditional pitched roof forms. Finally towards the end of the application process the planning officers at the Council decided that there was an issue with perceived overlooking of neighbouring gardens resulting from the extensive glazing of the first floor. Some last minute negotiations resulted in approval being granted. Great credit has to go to Laura Locke of AR Design Studio for holding it all together including the clients’ nerves! If you need some advice on a complex planning case then please do not hesitate to contact Pure Town Planning.